Your home—no matter the size—should be your sanctuary. It’s where the people you love are and where memories are made. Property Brokers of Minnesota knows just how important finding the right home is. Our agents work with you, each step of the way, to find your perfect home in Rochester, MN, and the surrounding areas. 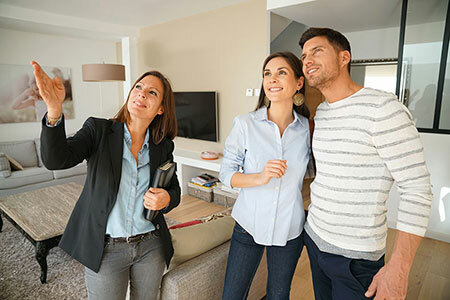 The agents at Property Brokers of Minnesota have decades of experience in the industry—in all economic conditions—and are here to guide you through the process of buying and selling your home. Whether you’re purchasing your first home or selling your last, we have you covered. Contact us to schedule an appointment with one of our agents, today. Property Brokers of Minnesota is a locally owned company serving the Rochester area and Southeastern Minnesota. As the temperature climbs, here are a few tips for summer showings: Don't skimp on the air conditioning! House hunters will want to escape the heat so make sure your home is nice and cool. Consider providing refreshments. Even though you likely won't be home for a showing, greet buyers like you would party guests. During the dog days of summer, set out a cool pitcher of lemonade for buyers. Anything you can do to make them linger a little longer can only help you sell. Considering selling this summer? Here's a tip: Highlight your outdoor areas. This is your outdoor space's chance to shine. Clean your deck, porch, patio or outdoor kitchen, and repaint or make repairs if necessary. No deck? Arrange chairs or outdoor furniture in your yard to create the illusion of an outdoor room. Make necessary repairs to your home's exterior, including your siding and windows. Looking to spice up your home with technology? Then check out these top nine tech trends and comment below with your favorite. Check out these tech trends and learn about whole-house audio, home theaters, energy monitoring and more.